Teresa Chambers is the luckiest whistleblower in the United States. She lost her job as the first woman chief of the U.S. Park Police after she told the media in 2004 that the department was below the number required to perform the job adequately. She sued, and in January 2011 won her case. But her victory is a rarity in the 21st century as President Barack Obama, who as an Illinois senator was instrumental in passing legislation to protect government whistleblowers, has effectively criminalized public servants who risk their jobs to speak out and expose waste, corruption and unethical behavior among their colleagues. When campaigning in 2008, Obama promised to protect whistleblowers, saying their “acts of courage and patriotism, which can sometimes save lives and often save taxpayer dollars, should be encouraged rather than stifled,” ABC News’ Megan Chuchmach and Rhonda Schwartz reported on Aug. 4, 2009. The most famous case is that of Pfc. Bradley Manning, an army intelligence analyst who allegedly revealed confidential government documents to Wikileaks. Before Manning had a trial or was convicted of a crime, Obama declared him guilty. “He broke the law,” the president said in April at a fundraising event in San Francisco. The Department of Defense has since charged Manning with “aiding the enemy,” a crime punishable by death. The effect of these cases has been to criminalize whistleblowing and dissent. As chief of the U.S. Park Police, she was responsible for the safety and security of some of America’s most significant symbols of freedom — including such sites as the Washington Monument, the Statue of Liberty, the Golden Gate Bridge area and the area surrounding the White House. Chambers’s troubles began in 2004, when she spoke frankly to the media, as her superiors had instructed her to do. In response to a Washington Post reporter’s question about Park Police staffing, she said her department was below the number required to perform the job adequately. Chambers’s bosses in the Interior Department confiscated her gun and badge and placed her on administrative leave immediately thereafter, eventually firing her. After a legal battle fought in administrative agencies and federal courts, Chambers won her case in January 2011 and was reinstated in her job. The resolution of the case was a long time coming — seven years, to be exact. But her victory was complete. What really made her case unique wasn’t what happened in the courtroom, but what happened outside the courtroom, Chambers said. Chambers said she’ll ever know the entire impact that the Web site had. It was a place for people to point to and hopefully give them help. One of her favorite aspects were comments left by visitors. “It’s humbling to read this and realize that there are so many people out there who have been harmed,” she said. Or that there are so many whistleblowers who tried to do the right thing but, because they didn’t have the financial means or retirement packages, attorneys that believed in them, or the physical and mental stamina needed to pursue a whistleblower case, they were unable to fight back. The Web site has drawn over 215,000 visitors. 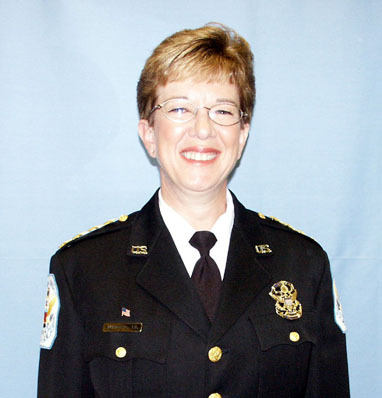 After 21 years in policing, Chambers became chief of police in Durham, N.C., in January 1998. She went to work for the Park Police in 2002. Her husband, a retired police officer, and she both had retirement incomes, so they had time to pursue the case. However, in a year they used up most of their retirement savings fighting for her job. If it hadn’t been for PEER working pro bono to represent her and the fact that some of her lawyers (including Bloomington’s Mick Harrison) worked for a “greatly reduced fee,” she might well have lost the case. According to PEER attorney Dinerstein, the Chambers case results were significant. “The case was groundbreaking legally,” she wrote in an e-mail. “First it established that federal employees are entitled to whistleblower protection for disclosing specific dangers to public health or safety, even if those dangers emanate from budget or policy decisions concerning the funding of certain government activities or programs. In Chambers’s case, she claimed that understaffing and underfunding of the Park Police was leading to specific dangers to public safety. The final MSPB decision implemented the law and the standards of proof the way that the whistleblower community has long advocated, Dinerstein wrote. The MSPB also looked at the government’s motivation and concluded the charges would not have been brought at all if Chambers had not been a whistleblower, Dinerstein wrote. 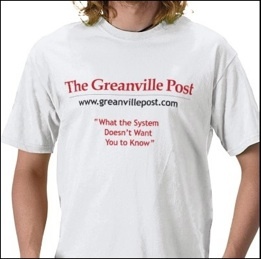 Linda Greene writes for the Bloomington Alternative. She can be reached at lgreene@bloomington.in.us. Posted in ANNOTATED NEWS, CIA + GOVT CRIMES, PARTY FRAUDS.